When it comes to engagement rings, it sometimes feels like it's all been done; after all, how much creativity can be expected in a piece of jewelry so entrenched in tradition? As it turns out, plenty. We scoured the wide world of fresh engagement ring design to come up with a list of our favorite rising designers in the field. From incorporating the use of unique non-diamond stones to coming up with never-before-seen ways to frame the more traditional gemstone, these creators are thinking way outside the solitaire ring. 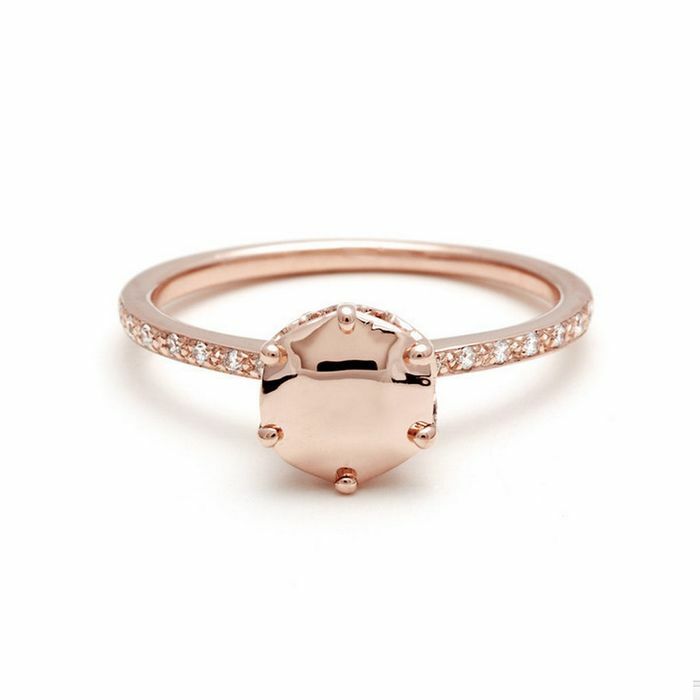 Keep scrolling for our list of the best engagement ring designers you've never heard of! New York–based designer Anna Sheffield's wedding baubles are nothing short of stunning. She has mastered the art of creating engagement rings that are somehow both classically beautiful and modern. Los Angeles designer Grace Lee calls her creations "chic minimalism," and we are obsessed with everything she makes. Her specialty is custom-created rings featuring dainty bands and stones that suit the wearer. Oakland, California, designer Lauren Wolf takes inspiration for her designs from her undying love for travel. Her unique engagement rings feature non-diamond pieces as well as one-of-a-kind treatments of beautiful traditional diamonds. New York– and Tel Aviv–based designer Shiree Odiz is carrying on her family's long-held legacy in the diamond industry with her creative interpretations of classic diamond engagement rings. Her subtly modern (and affordable) treatments of traditional design have us swooning. If you're ever in the mood for some seriously dazzling eye candy, head over to Trumpet & Horn. The jewelry shop features both refurbished vintage estate sale pieces and original designs. Hunters of quality vintage stones, look no further! Japanese-born designer Yasuko Azuma has lived a ton of lives. After immigrating with her family to New York to pursue a career in dance, she enlisted in school to chase her real dream: jewelry design. She takes inspiration from her native country and creatively utilizes uniquely colored diamonds in her beautiful creations. Who is your favorite engagement ring designer? Share with us below!